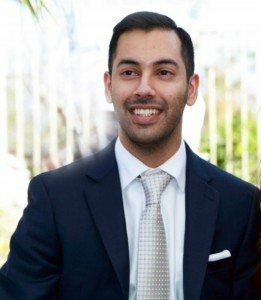 At Yash Law Group, Yashdeep “Jesse” Singh, Esq. focuses his practice in the areas of employment and labor law and business law. Specifically, Jesse has litigated matters in state and federal courts and arbitration that involve claims of wage-and-hour violations, wrongful termination, sexual harassment, discrimination, breach of contract, and fraud, among others. Representative clients include employees of small retail stores to large multi-national companies, consumers of goods and services, and small- to medium-sized businesses. As the Principal Attorney at Yash Law Group, Jesse handles every aspect of clients’ cases—something he has prided himself in since opening the doors at Yash Law Group in 2014. Jesse has the skills, experience, and knowledge necessary to aggressively, yet ethically litigate cases on behalf of consumers, businesses, employees, and employers. He began cultivating these assets even before he formed Yash Law Group. Jesse graduated from University of California, Los Angeles (UCLA) in 2008 with a Bachelor of Arts degree in Philosophy. This area of study helped Jesse hone his skills in critical thinking and analysis—skills that he uses today to advocate for businesses and consumers and for employers and employees. He then received a law degree from Loyola Law School in Los Angeles in 2011 and passed the bar the same year. During law school, Jesse served as a judicial extern to the Honorable Craig Richman in the Los Angeles County Superior Court and as a research assistant to Professor Lary Lawrence at Loyola Law School. Jesse previously worked as an attorney in other, boutique law firms in Orange and Los Angeles Counties that handled class action employment and consumer protection litigation. A native of Southern California, Jesse also is deeply involved in government and community activities in San Bernardino County, including Chino Hills, where Jesse once ran for City Council, and in Orange County. Contact Jesse’s Brea office today if you require the assistance of a Southern California labor or employment lawyer. Visit Jesse’s California labor law blog for the latest developments relating to employees, employers, and business law.